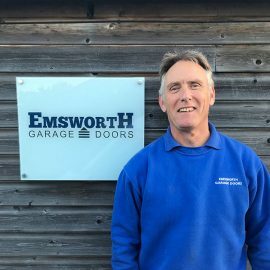 John took over the running of Emsworth Garage Doors from his father Peter who started the business over 25 years ago. John studied Geography & Environmental Management in Bristol before setting up his own ltd. Company which focused on setting up Expat project management teams within the oil & gas industry. 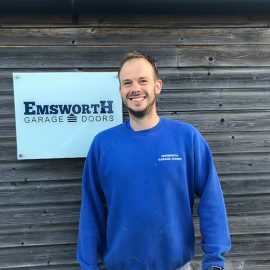 John has been running Emsworth Garage doors since 2011 and overseen the companies growth, as well as introducing new products to the range that the company previously offered. Keiran has been with the company since 2016. He’s young, enthusiastic and eager to learn. Keiran benefitted from industry specific training at Garadors Garaschool and is now a competent stand along installer, with knowledge of rollers, up & overs, side-hinged, sectional and entrance doors. Andy is the newest member of the team. 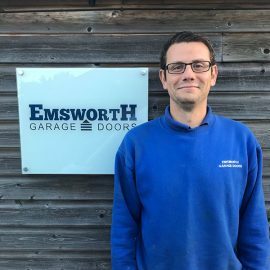 A local to Emsworth, he was hired in early 2018 and since working closely with Steve has flourished. Andy is known for his time keeping, he’s always the first person at the warehouse each morning and he’s incredibly reliable. 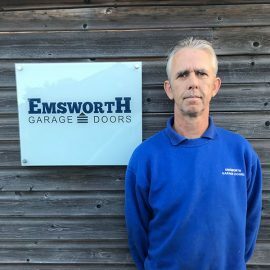 Steve has been working within the Garage Door industry for over 35 years, many of which were working alongside Peter Menzies at Emsworth Garage Doors. Steve is our most experienced installer, nicknamed the “Oracle”, what Steve doesn’t know about Garage Doors is definitely not worth considering. 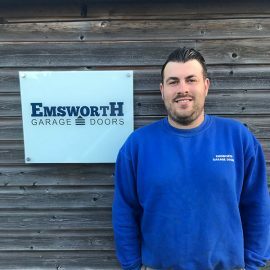 Daniel is Steve’s son and has been with the Emsworth Garage Doors since 2011 when John took over and expanded the business. Dan is one of our team leaders, he is always learning about what’s new within the industry and embracing new technologies and products. He came from a background in painting and decorating, which is apparently when you see the pride that he takes in the plastic work around the doors, which gives the garage a stunning appearance that you seldom find with other companies.